Cylindrical roller bearing - Cylindrical roller bearing - Shandong Yongxiang Special Bearing Co. Ltd.
cylindrical roller and rolling line for line contact bearing. Load capacity, mainly to bear the radial load. Ring wall and rolling friction small, suitable for high-speed rotation. According to the ferrule has without ribs, Nu, NJ, NUP, N, NF, single row cylindrical roller bearings and NNU, NN double row cylindrical roller bearings. 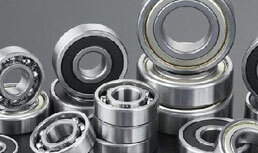 The bearing is a separable structure of inner and outer rings. cylindrical roller bearings with or without the edge of the inner ring and outer ring, the inner ring and the outer ring can move relative to the axial direction, so the use of the free end bearing can be used as a free end bearing. 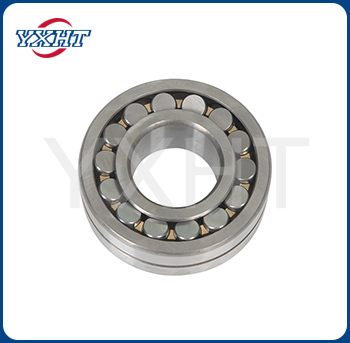 On one side of the inner ring and the outer ring of the double rib, the ring on the other side of a single rib of cylindrical roller bearings, can withstand a certain degree of one direction axial load. Generally use the steel plate stamping cage, or copper alloy vehicle solid cage. But there is also a part of the use of polyamide forming holder. cylindrical roller bearing rolling track and rolling body geometry. After improved design, has higher bearing capacity, retaining structure design of the new edges and roller end, not only improve the bearing axial bearing capacity, and improve the roller end and retaining the lubrication condition of the contact boundary, improves the service performance of the bearing. Copyright © 2016-2017 Shandong Yongxiang Special Bearing Co. Ltd.